The 2018 Subaru Outback 2.5i Premium. The 2018 Subaru Outback 3.6R Premium. 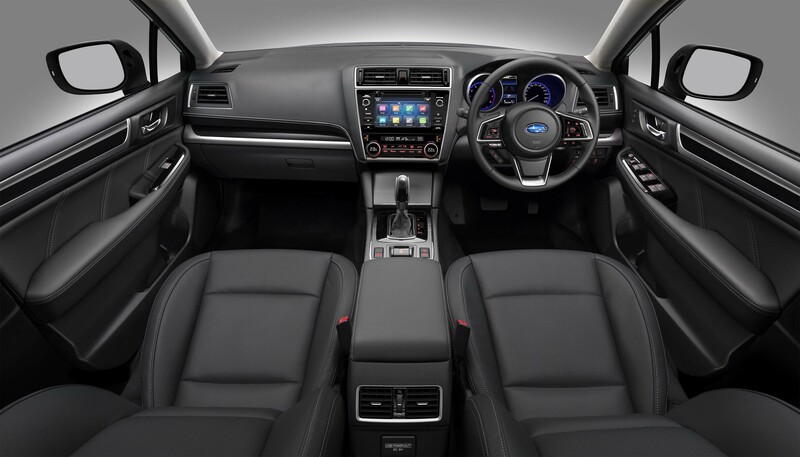 The 2018 Subaru Outback 3.6R Premium interior. The 2018 Subaru Legacy and Outback infotainment system. The 2018 Subaru Outback model range. 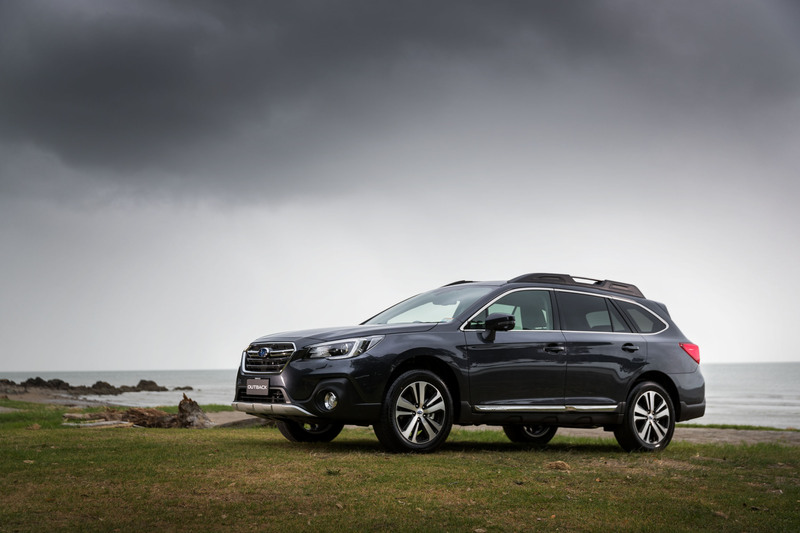 Subaru of New Zealand has announced the changes to the 2018 three-model Subaru Outback range – which includes enhancements in styling and technology, while retaining the current recommended retail pricing. Already the brand’s top-seller, Subaru’s ultimate vehicle for the Kiwi lifestyle, the Subaru Outback, includes three much-loved variants in the 2018 improved line up - 2.5i Sport, 2.5i Premium and 3.6R Premium. 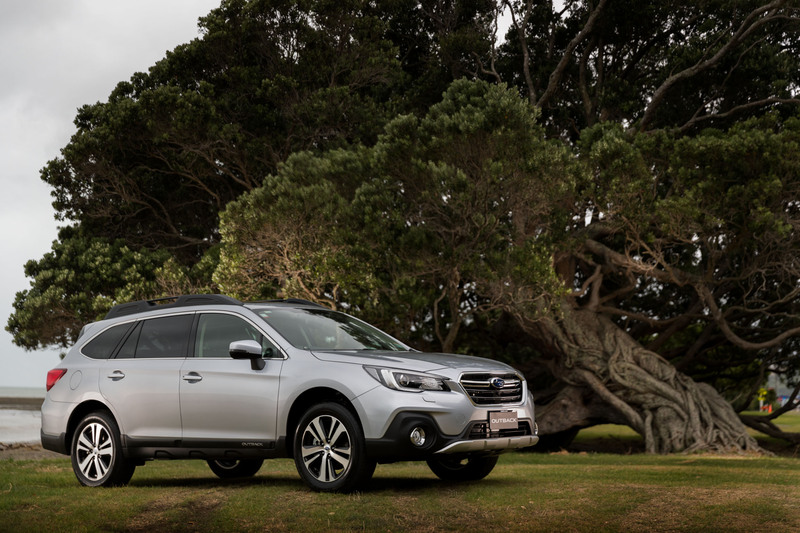 Subaru of New Zealand Managing Director Wallis Dumper says that the Outback is recognised as the Subaru that has changed the passenger car world. “When the engineers created an SUV out of a Legacy wagon over two decades ago, little did they know the impact it would have on the future. 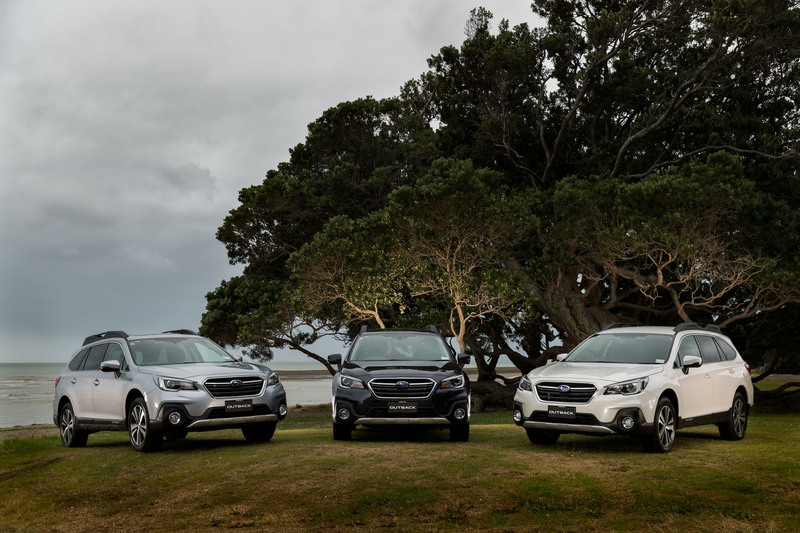 Today SUVs dominate new vehicle sales and Outback has simply grown with that evolution of buyer demand and is now our number one selling model, with 44% of all new Subarus sold in New Zealand being Outbacks." 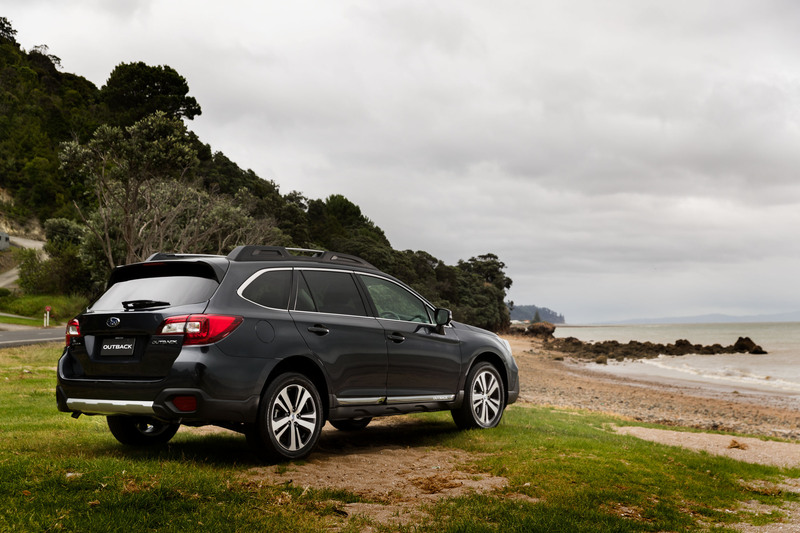 “Given how many Kiwis drive the Outback, any change to our top selling model is important. The new 2018 refresh and upgrade truly adds even more value to the vehicle Kiwis recognise as the best large SUV in New Zealand. It enables Kiwi’s lifestyles, and for them to get out and ‘do’ what they love in a car that can tackle the New Zealand terrain with ease," Mr Dumper adds. The Subaru Outback’s exterior takes on a smart new look, with the refreshed front end featuring a revised grille and front bumper design. The new wing mirror design with improved aerodynamics and noise reduction, includes stems shortened by 20mm and a new LED indicator that offers greater visibility to other vehicles. The rugged and stylish new 18-inch alloy wheels designs feature across all three variants. The trio of MY18 Outbacks further update the third generation version of Subaru’s ground-breaking EyeSight® technology. It includes a new feature known as Lane Keep Assist, which can help prevent accidents by assisting with steering control if a driver unwittingly starts drifting into another lane. The premium variants add a suite of vision assist features and introduce LED steering responsive headlights. High Beam Assist has been upgraded to Adaptive Driving Beam and there is now a Front View Monitor and Side View Monitor in the two premium models. The stylish interior tweaks include a classy, tablet-type central display, with the larger screen now 8-inch (2.5i Premium, 3.6R Premium) and 6.5-inch (2.5i Sport). 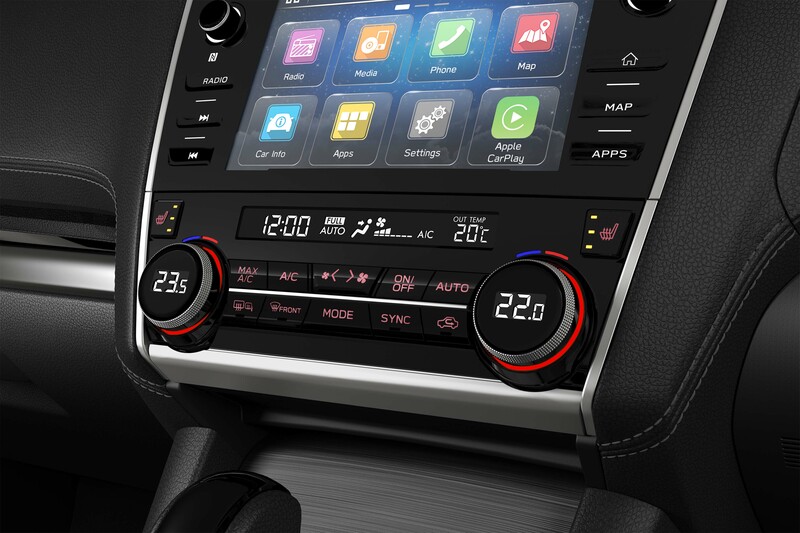 The third generation head unit at the heart of the infotainment system enables enhanced smartphone connectivity, based on Apple CarPlay™ and Google Android Auto™ services, which are used to boost mobile connection functionality. Mr Dumper says: “Outback may not have been born in New Zealand but it sure feels at home on New Zealand roads”. He advises New Zealand drivers when choosing their next SUV: “There are a few ‘pretenders’ out there, trying to emulate an Outback, so a note of caution to buyers in the market to ensure that any Outback comparison is done with an All-Wheel Drive technology vehicle that has the same specification level and features as standard equipment." Lane Keep Assist – can help prevent accidents by assisting with steering control if a driver unwittingly starts drifting into another lane. New design LED high and low beam headlights are integrated with Steering Responsive Headlight (SRH) and the Adaptive Driving Beam (ADB) functions. The bi-functional LED lights allow switching between high and low beam with a single bulb. The LED Daytime Running Lights (DRL) are integrated into the headlights, matching the C-shaped design, making the vehicle instantly recognisable on-road as a Subaru.